The University of Pennsylvania Sailing Team has a long tradition of excellence in inter-collegiate sailing. Founded in the early days of collegiate sailing, Penn continues to compete at the highest levels of college sailing to this day. Throughout the club’s history at Penn, it has achieved much success — in the 1970s, when the men’s basketball team was making news by winning Ivy titles and reaching the Final Four, sailors like Robert “Jack” Lefort Jr, and 12-time national champion Cory Fischer Sertl were competing with success against powerhouse teams like Navy, the Merchant Marine Academy, Yale and Harvard. Penn still competes against these teams, and despite many years in obscurity has in the past decade regained prominence on the national collegiate sailing stage; most notably making the ISCA Nationals in ’08, ’09, and ’16. Our sailing facilities are located at The Corinthian Yacht Club of Philadelphia; a short drive from Penn’s campus. We train on a fleet of 9 Z420s and 9 FJs. The team practices in the waters of the Delaware River. 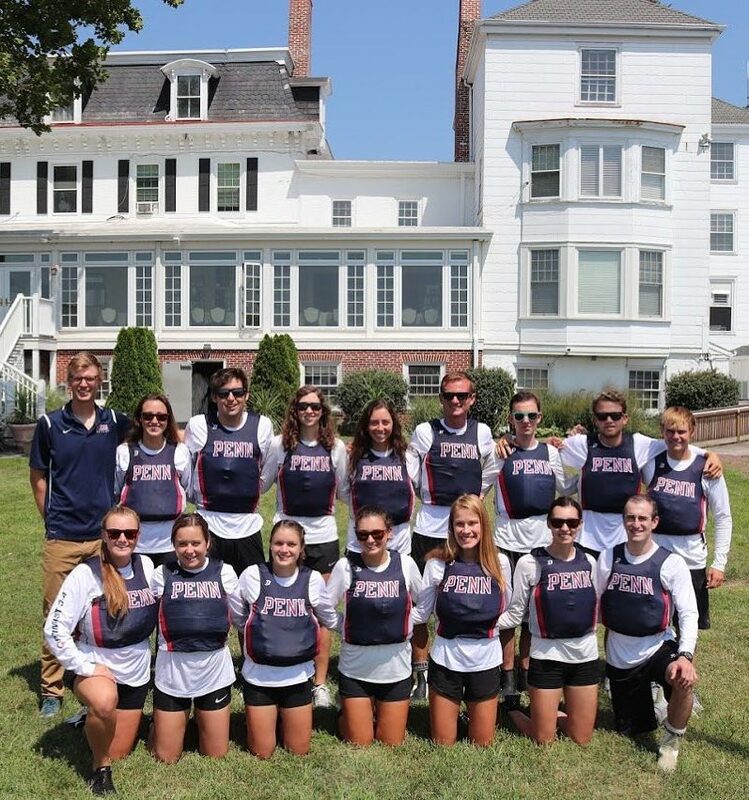 Penn competes in both the Fall and Spring collegiate sailing seasons and focuses on sailing the most competitive events possible.